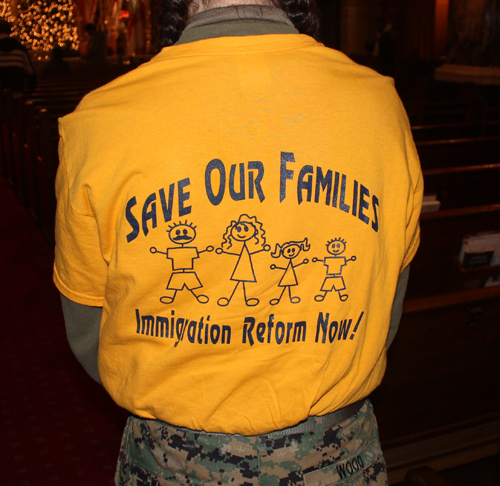 People from both sides of the political aisle admit that the current immigration laws need to be changed. Perhaps the most compelling reason for change is that one of the most harmful consequences of the outdated law is the breaking up of families. Ricardo Ramos, an immigrant father of three U.S. citizen children, has been working (and paying taxes) in the nurseries of Lake County, OH for the past sixteen years. Currently, he's facing deportation on January 16th, the same day as his daughter's twelfth birthday. 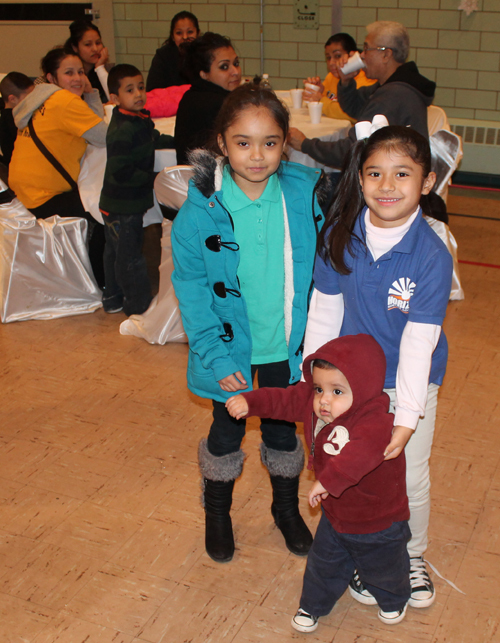 St. Casimir Church in Cleveland is home to a predominantly Polish American congregation but St Casimir has become the adopted Church of Ricardo Ramos and his family. They learned of the miracles attributed to Our Lady of Czestochowa, also known as the Black Madonna. 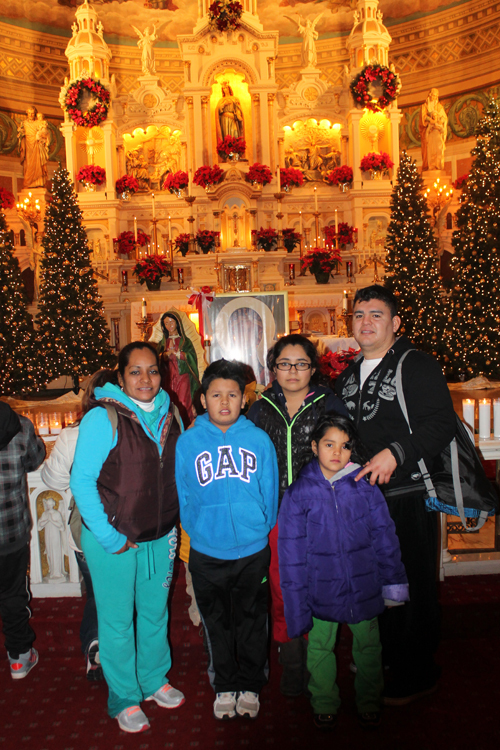 A group of faithful met every week for almost 3 years in front of St Casimir Church when it was closed and prayed to Our Lady of Czestochowa and their prayers were answered. Joe Feckanin spoke on the steps of St. Casimir Church in Cleveland and gave a brief history of the events leading up to the pilgrimage. 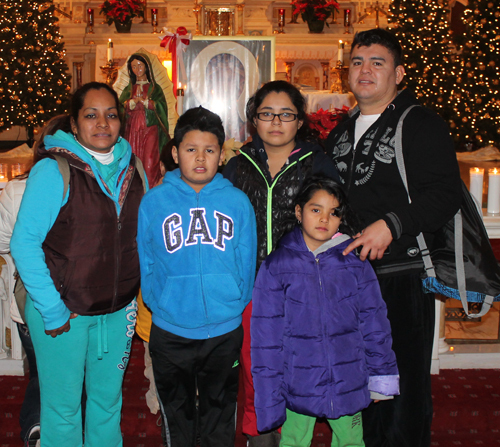 Ricardo and his family have been attending Mass and praying at St Casimir Church on East 83rd and Sowinski Ave. in Cleveland and have been "adopted" by the inner city, predominantly Polish heritage Catholic Church. 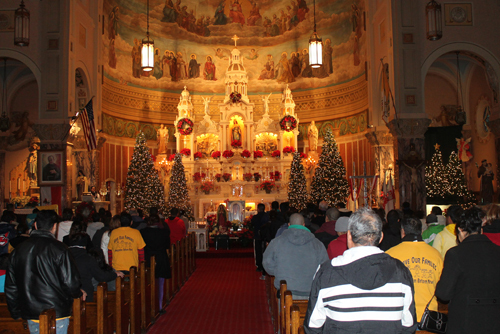 On Monday January 13, 2014 about 100 supporters made a 20 mile pilgrimage walk in the cold and rain from Painesville to St Casimir to pray for a miracle in front of the icon of Our Lady of Czestochowa. 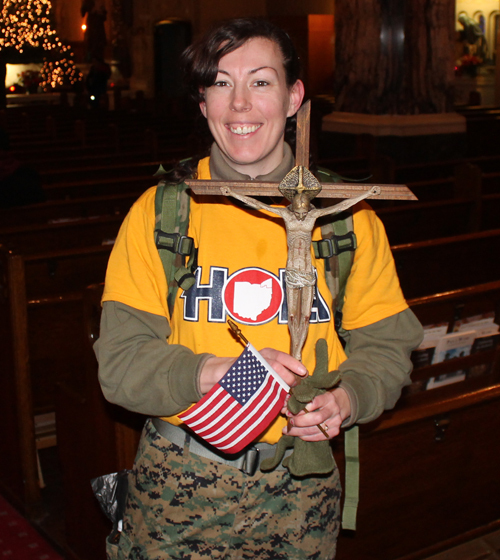 Elizabeth Wood Perez,a U.S. Marine for 10 years and combat veteran. Rev. 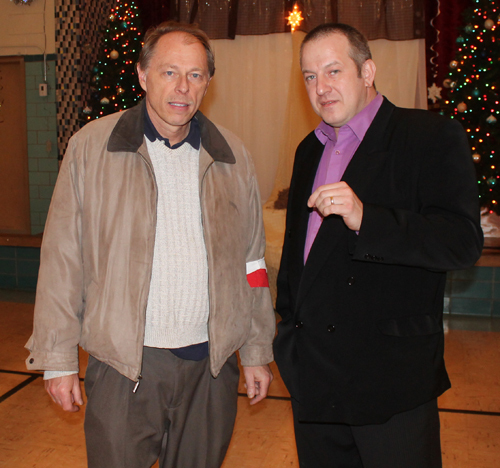 Eric Orzech is Pastor of both the Shrine Church of St. Stanislaus and St. Casimir Church in Cleveland. Fr. Orzech speaks English and Polish but not Spanish. 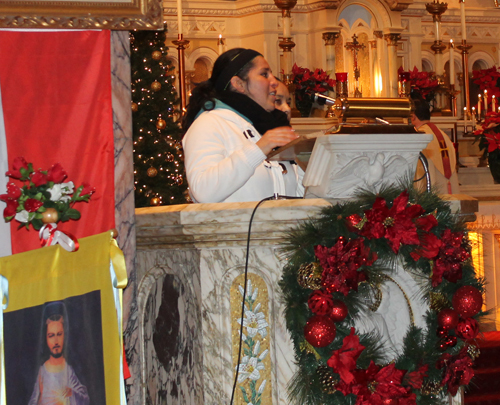 Another St. Casimir priest does speak Spanish and has been assisting on Sundays. 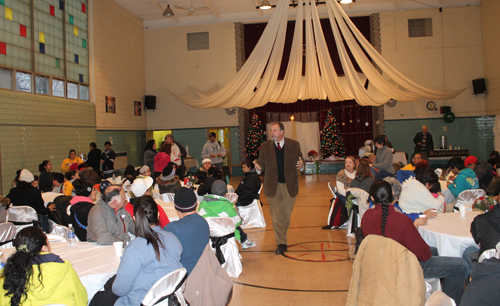 Father Eric welcomed the marchers and supporters and called St Casimir Church a place where miracles happen. Two of the marchers then led an opening hymn in Spanish. 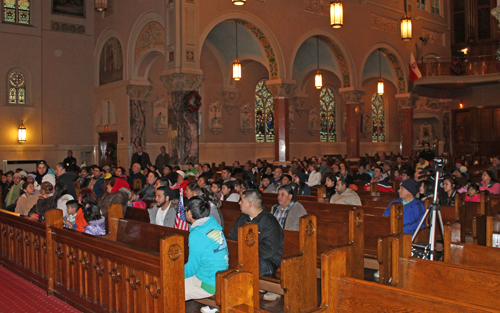 The 100 plus marchers and supporters then said a decade of the Rosary in Spanish. They sang another song and Father Orzech gave a Benediction. 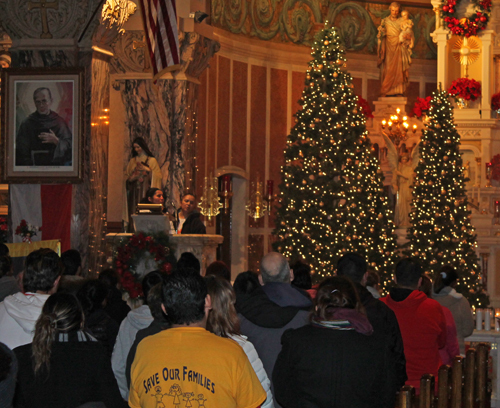 After the service, many knelt to pray in front of the altar and the icon of Our Lady of Czestochowa. 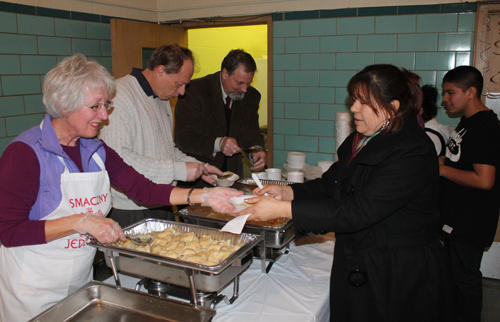 The group then went to the Parish Hall for coffee and hot chocolate and a new (for most) treat called pierogi. Fr. Eric jokingly renamed them Polish tamales for the occasion. 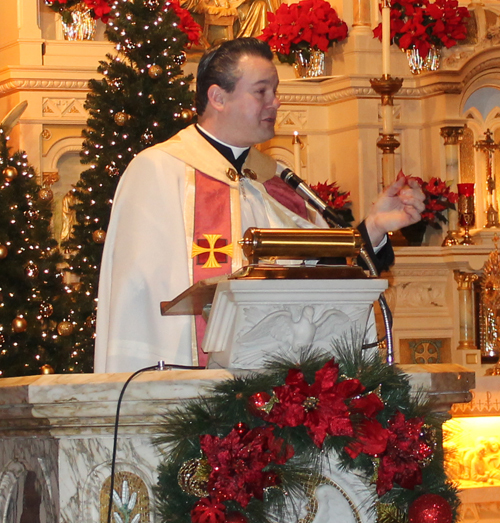 Joe Feckanin thanked the crowd who braved the 20 mile pilgrimage in the cold, wind and rain to St. Casimir Church in Cleveland to pray for a miracle. Immigration attorney David Leopold said that the immigration laws must be changed to keep families like the Ramos' together. 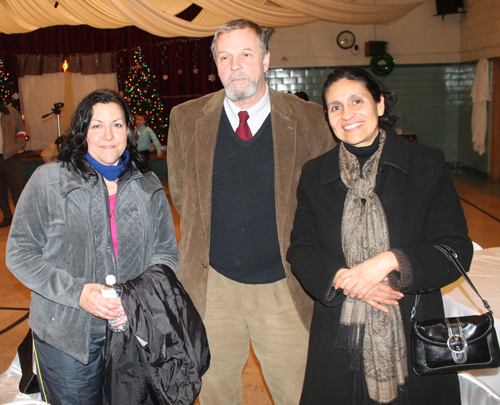 The crowd consisted of young and old and various ethnic backgrounds. All were there to show their support for the Ramos (and other) families and pray for a miracle. It was an inspiring show of support from both the Cleveland Polish community and the broader immigrant and Latino community. The unlikely combination was brought together by faith and the belief that this family should not be ripped apart. 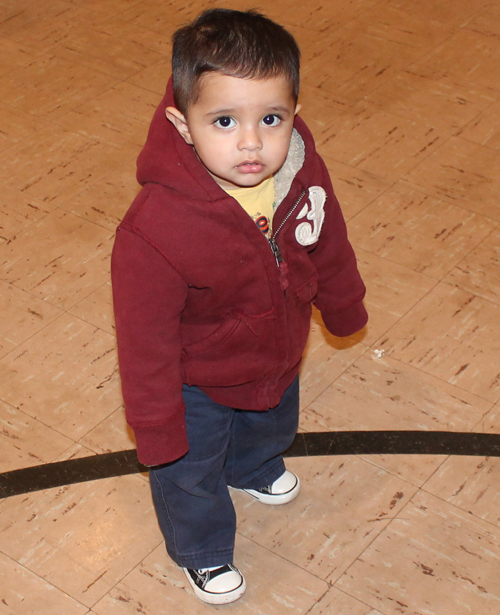 If you want to reach the Mexican community in Cleveland and Northeast Ohio, please contact us.